The Huawei P30 Pro was released two weeks ago in Paris, and I have been using it as my primary phone since. As usual with the P range this phone focussing on the camera, with considerable improvements from the P20 Pro, or the 5-month old Mate 20 Pro. In particular, this phone introduces a new camera stack using RYYB over RGB which apparently improves low light performance and allows them to achieve an ISO of 409600 which is unheard of in smartphones and many DSLRs. For comparison, that is four times larger than the P20 Pro, which was often classed as the best camera phone of 2018. What has grabbed most of the headlines is the new 5 times periscope zoom, which allows them to achieve 5x optical, 10x hybrid, and 50x digital zoom. Powering the Huawei P30 Pro is a Kirin 980 chipset, the same that we saw on last year’s Mate 20 Pro. This is paired with 8GB of RAM. Meanwhile, storage starts at 128GB and goes up to 512GB. This phone has Huawei’s proprietary nanoSD card slot so you can upgrade the memory, but at a premium over microSD. Huawei does a good job of making a rectangular slab of glass look good. Build quality is exceptional with a bevelled glass edge on the screen and rear. It is the colour-ways that make this phone really stand out, until, if like me, you wrap it up in a black case. There are five colours with Aurora, Amber Sunrise, Breathing Crystal, Black, Pearl White. The white and black look good as far as those colours can, the white has a slight pink hue to it, similar to a pearl. It is the three other options that stand out, with Amber Sunrise being the most striking, then my preference would be the Breathing Crystal which is a sort of blue white silver, and then Aurora. The periscope zoom necessitates the need for a large camera bump on the back, and when you look at the lenses you can see the square hole used for the periscope lens. This is because the light enters normally but is reflected at a 90% angle towards the 5x optical lens. To the side of the three main cameras are the flash and the TOF sensor which is used for distance awareness and will significantly improve the bokeh on pictures or be used for 3D scanning. The phone now has a flat bottom and top which accentuates the curved edges of the screen and rear. There is still no 3.5mm headphone socket, possibly to help facilitate the IP68 rating. Huawei do bundle some relatively low-quality USB-C headphones, however there is no USB-C to 3.5mm adaptor. While I would prefer the 3.5mm jack, I have come to learn to live without it, and I almost never use wired options nowadays. As usual for recent releases, this uses a beautiful OLED screen, that has a slight curve to the edges. 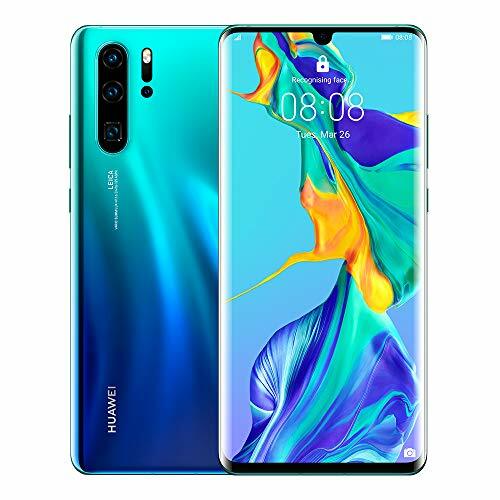 I am not sure why, but Huawei has dropped the resolution to 1080 x 2340 pixels with a 19.5:9 ratio compared to the Mate 20 Pro. Perhaps to help differentiate the two models more. Some people say they can notice the difference, but for me, in real life usage, I can’t. At least, I never glance at my screen and wish this had 1440 x 3120 pixels. A welcome change with the display is the absence of the massive notch the Mate 20 Pro had. Now you get a small waterdrop style. I wasn’t opposed to the notch initially, but it does restrict the number of notifications you can fit on the bar, which is a little annoying. The tiny notch now allows Huawei to get 88.6% screen-to-body ratio, just under 1% more than the Mate 20. Apparently, they could have gone higher by making the chin smaller, but this would have been detrimental to the user experience, I’m inclined to agree. The P30 Pro ups the screen size to 6.47 inches, which is massive, but the huge screen to body ratio means it doesn’t feel too bad in my relatively small hands. It is only 0.2mm taller and 1.1mm wider than the Mate 20 Pro. I had mixed feelings towards the fingerprint scanner of the Mate 20 Pro, in fact, I would say it was its worst feature. I suspect I might have had a bad thumbprint scan because it was very hit and miss. With the P30 Pro, things feel totally different, Huawei has lowered the fingerprint sensor, which feels more natural to me, and both the unlock accuracy and speed subjectively seem considerably improved. Now I would guess it is 90% of the time it unlocks, and it does it incredibly fast. I have used the face unlock on Huawei phones for the past year, and while it may not be the most secure, I can’t image a scenario where I would be without my phone long enough to have it stolen and then fooled via various mechanisms. It may be an issue if I am at the DEF CON convention, but I doubt there will be a perfect storm of a semi-talented hacker stealing my phone in Blackpool and me not realising. In the case of the P30 Pro, it remains excellent, but it is perhaps slightly less accurate than the Mate 20 Pro, likely due to the TOF sensor being on the rear of the phone, not the front. Between the face recognition and accurate fingerprint reader I rarely have an issue unlocking the phone. If you are buying this phone, it is likely because you want a good camera, and it does not disappoint in the slightest. I have already done one post with sample shots, and I will continue to update that regularly as I use the phone more. I am not a great photographer, I barely know how to use pro mode, so I am reliant on the various auto options. This will likely be the same for most buyers, so hopefully, my usage is a good example of real-world performance. The camera was terrific on the Mate 20 Pro, and they have taken things further here. The stand out feature, for me, is the low light performance. On the rare occasion I go on holiday there are lots of times where I want to take a photo after sunset, and with older phones, the results were always shocking. Huawei’s night mode improved things exponentially, but this phone takes it to a new level, using the standard auto mode, with no long exposure you can still take amazing low light shots. Huawei has managed to quadruple the ISO since the P30 Pro, by completely redesigning the way their camera works, previously, like most cameras the sensor used RGB but this has now been switched to RYYB. I don’t understand the science of how or why that it is better, but it is what is behind the 409600 ISO rating. As usual, you have the option to switch been lenses manually, but by default, it will be 4:3 10MP. In this mode, every 4 pixels will gather the data to generate 1 pixel in the photo. The camera app has been tweaked which allows you to switch AI on and off via the main screen, rather than having to root around in the settings. This may be an unpopular opinion, but I feel like the zoom is less usefull than the low light improvements. Not that it isn’t great, it is, and it is a technical wonder the 5x optical zoom gets some beautiful shots, as does the 10x hybrid it is just that there are not many scenarios that I really use that much zoom, whereas there are plenty of low light scenarios. My personal usage is probably what makes me indifferent, I use the zoom a lot when taking product photos for reviews and 3x works well for me whereas normal people will likely be using the zoom on holidays to get pictures of architecture and nature. It is also worth noting that the 5x zoom is fixed, so anything under 5x is not optical. I am not sure at what point the hybrid zoom kicks in, but with certain zoom lengths, it will just be digital, for example, 1.9x would be digital. In general you will get the best results from the pre-defined zooms of 1x, 5x and 10x. The 50x zoom is amazing to play with, and something people have posted to social media a lot, being able to zoom in that much feels incomprehensible on a phone. In reality, keeping the lenses straight and getting good quality shots is basically impossible. However, the Mate 20 Pro only went to 10x digital zoom, 5x hybrid, and 3x optical. So, if you find yourself wanting to go beyond 5x frequently, then the P30 Pro is far superior. It did allow me to stalk cute dogs when out a walk without looking too weird, so it is great for that. I don’t have many real-world usage examples of the low light auto mode just yet, but to test the camera I used both this phone and the Mate 20 pro to take some sample shots in my living room at around 5am. Ideally, you need a tiny bit of light at least, in my case the blinds blocked out most of the street lights, but I had a single Philips Hue bulb set to 1%. It was dark enough for me to struggle to see what I was aiming at, hence the slightly blurry photos, but as you can see, the standard camera captures far more detail than the Mate 20 Pro, and the regular Low Light shot provides a more accurate colour representation to our walls in comparison to the Night Mode. Night Mode continues to be spectacular with the P30 Pro, the exposure time appears to be increased, it now will often use 8-seconds in dark scenarios, while I am sure the Mate 20 used a shorter exposure. With the TOF sensor on the rear of the phone, the aperture mode should be able to produce significantly improved bokeh shots as the camera can no gather accurate distance data. The TOF sensor can be used for some 3D mapping functions, and Huawei has demoed an AR measurement too which looks very impressive. At the moment the measurement tool does not appear to be available yet. There is not much to say about the wide angle lens, I am glad they still have it, as I use it just as frequently as the normal 1x zoom. It is particularly good on holidays when taking photos of building etc. Seveal of the above photos are already wide. The ability for this phone to use AI to detect super close up shots can produce some of the most impressive shots in my opinion. There are dozens of features with the camera, especially when you go into the edit functions. Similar to the Mate 20 Pro, when you go into edit the phone can do things like colour pop and fake bokeh. The colour pop is one of the more impressive options allowing you to select a single colour in an image and the phones AI features will turn everything else black and white. I don’t record a lot of videos personally; however the P30 Pro promised a lot of improvements over previous generations, along with the improved lens there is dual image stabilisation via optical image stabilisation which then assisted by AI stabilisation. During my testing, the stabilisation is impressive, as I walked through a park you can clearly see the motion of me walking, but there isn’t the excessive jerkiness you find with none stabilised video. When I walked with the 5x zoom things got a lot more wobbly which is understandable. This is not going to replace a gimbal but it should be able to take smooth video without having to carry around awkward accessories. With its 4200mAH battery, it is one of the largest on the market, matching the Mate 20 Pro, this is then backed up by the 40W supercharge and 15w wireless charging. Combined with the aggressive battery management built into the software and you get genuinely spectacular battery life. If charging from flat you should be able to go from 0-70% in just over 30 minutes; a full charge takes less than an hour. I used phone clone when I set up the phone, so I didn’t get quite the same battery performance as a fresh install with no apps draining things. However, at the end of the day, I am still always above 30% battery life which includes lots of photos. Quite often for my general daily light use of emails, Spotify and social media, I am left with around 50% battery. This is easily one of the biggest selling points of any flagship phone from Huawei, and I think I would struggle to switch to another brand as my primary phone unless they offer similar battery performance. Ironically, the exceptional battery performance means that the supercharge and wireless charging are rarely needed, but it is another string in the bow for Huawei. My sample came with an EU plug so I only use the SuperCharge once in a while, I have not tested it extensively but something is gratifying about the battery percentage actively move up as you watch it when SuperCharge is detected. I do use wireless charging quite frequently; I have a Anker 15w stand on my desk and a car phone mount with 7.5w charging. This is only ever supplementary, as it is convenient to place my phone on the stand when I am sat at my desk, or similarly in the car. Even though the car mount is only 7.5w I love it as it means I can use navigation and streaming without bothering to fish around for the USB cable. The reverse wireless charging feature is still more a gimmick than anything, the main use of it would be charging earphones and other wearables if you are caught short. However, it is better to have it than not. I used phone clone to copy all my apps and settings over, so my phone should have been identical to the Mate 20 Pro from the start of using it. Fresh installs always feel fast for most phones. Apparently, through the use of AI and machine-learning in its EMUI software, the phone learns which apps you use the most and tries to open them faster. Subjectively, this does feel considerably faster than the Mate 20 Pro, though presumably that also uses AI optimisation. Huawei did make a lot of announcements about improved app speeds, but I always assume this is marketing fluff, but it does genuinely feels considerably faster, especially with social media. As previously stated, the fingerprint unlocks speeds also seem a lot faster (and more accurate). Huawei allow you to run the phone in a performance mode or the default mode. Performance mode will drain the battery faster and should only be used for benchmarking or gaming. This, therefore, gives the phone two different benchmark results. One what it actually does on a day to day basis, and the other what it is potentially capable of. Using Antutu this gives the phone a score of 311912 placing it second on the charts, just behind the Galaxy S10. For normal usage, it achieved 268627. This then makes this quite a bit higher than the Mate 20 Pro when let off its leash, but slightly lower in normal usage. The extra RAM will help with the improved scores. In reality, while this phone does feel faster, overall performance is going to be similar to the Mate 20 Pro, albeit the P30 Pro should have the edge due to the increased RAM. Both these devices are going to perform similar to every other flagship on the market. They will all play every AAA Android games smoothly, and any day to day task will be handled with ease. In terms of raw performance I feel like we are beyond what is needed for daily use, and this could be why everyone is focussing more on AI, photography and battery performance nowadays. As always Huawei use EMUI for their software, maybe I am just used to it after 12+ months with their phones, but I have no problems with it at all. The battery management is aggressive, but it is fixable but altering the setting under battery and app launch. Anything you need to push notifications will probably need the automatic battery management switching off, for me, this includes any form of smart home gadget including security cameras such as Ring, and Eufy. You could argue that this shouldn’t be a requirement, but then people would moan about battery performance, it is a trade off that is worth it in my opinion. Huawei appears to be reasonably good for updates, my Mate 10 was upgraded to EMUI 9, and both that and the Mate 20 Pro have had regular security updates. EMUI introduces a lot of useful features over vanilla Android, how much you will use them is another matter. One of the highlights is the easy projection function which can be done via wired or wireless connection. If you have a USB-C to HDMI converter, you can go into a desktop mode similar to Samsung DEX. I tried it with this phone and it works as advertised the StarTech adaptor that I am reviewing also has a USB Type A port for peripherals, and unsurprisingly, my USB keyboard did not work on it, likely due to the phone not providing enough power. So you will need a Bluetooth keyboard if you want to work off your phone. You can use the screen as a touchpad too, but a Bluetooth mouse would obviously be better. While it is a great feature, I can’t think of many or any occasions I would use it, it would be great to use in hotels instead of carrying a laptop, around but that would require assuming the hotel has a TV with accessible HDMI ports. Other features include Huawei Share and Huawei Beam both of which allow convenient sharing of files etc. This will also be compatible with the new OneHop NFC sharing that is featured on the new Huawei Matebook laptops and looks genuinely useful, allowing you to instantly to transfer images and videos from your phone to the laptop by tapping it with the back of your phone. App Twin is another feature that has been present for several generations now and allows you to duplicate certain apps allowing multiple logins for things like social media. This includes WhatsApp and will be useful if you run dual SIMs. 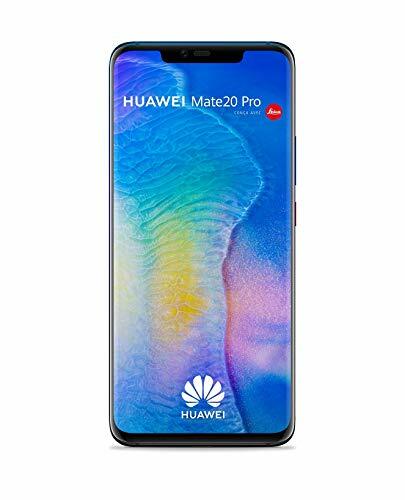 Huawei is one of the few companies that release two flagships a year, which feels excessive when the Mate 20 Pro is only five months old. 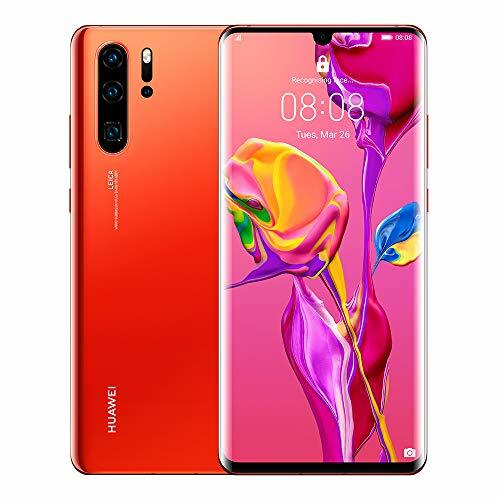 This means that a lot of the new technology Huawei introduce each year is spread across two phones, with the Mate focussing on the new chipset that powers the phone, and the P series the camera. This does make the release cycle a bit incremental, the P30 Pro is almost the same as the Mate 20 Pro just with a different camera, though the Mate 20 has a better screen. Considering the meteoric rise of the Huawei market share, I am clearly not in the position to criticise this business approach. Recently they have announced that they want to have the largest market share by 2020, taking over Samsung. I have done a more detailed comparison of the P30 Pro vs Mate 20 Pro, however, in general, the P30 Pro is the better phone around. The exception being the higher resolution screen of the Mate 20 Pro. While this does mean the P30 Pro is better, pricing will be a factor. The P30 Pro is £899 currently, as it has just been released. 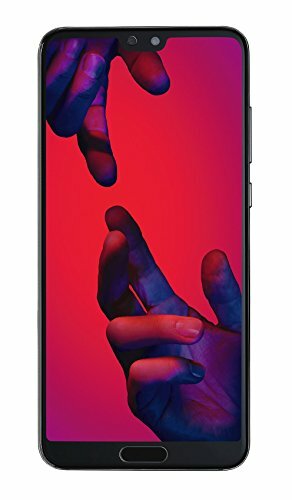 The Mate 20 Pro is £799.99 from most places, but it can be found for as low as £565.00 online or £673 on Amazon. The P30 Pro is considerably better for me, but I am not sure it is £200+ better. With a launch price of £899, it is the same price as the Samsung Galaxy S10+, so the pricing is sensible, I haven’t used the S10 but if I had to choose, I would probably go for the P30 Pro. If you were eager and pre-ordered, you would have received a Sonos One worth £199 which made the phone an absolute bargain. Neither phone offers the best value for money, and you are paying £899 to have the latest and greatest tech at launch date. As always, over the next few months, the price will drop a little and you will be able to pick up some attractive contracts making the total cost of the phone lower than buying it SIM-free. Huawei continues to be one of the most innovative phone brands on the market, and the P30 Pro is exceptional with almost nothing to fault about it. It is not revolutionary when you compare it to the Mate 20 Pro, so if you already own that, I wouldn’t suggest you run out and upgrade. However, it feels like Huawei have perfected it. The camera easily lives up to the hype, the new zoom is a technological wonder, but how much I will use it in the long term remains to be seen. It is the low light performance where this phone shines, you can now have a camera in your pocket that can properly replace a stand-alone point and shoot camera in all situations. You don’t have to restrict yourself to daytime photos, and quite often a good night shot will look more interesting (or Instagram worthy) than its daytime equivalent. I used to be a bit tight-fisted when it came to phones, the thought of spending £800+ on a phone seemed insane, but Huawei won me over with the Mate 10 Pro with its great camera, and it has continued to do so since. This is considerably cheaper than buying a decent phone plus a good standalone point and shoot camera, and this is how I would justify to myself spending £900 on a phone as I use this for both work and pleasure. The convenience of an all-day battery, superb camera and flawless performance is worth the investment. Almost flawless, the P30 Pro continues the tradition of the P series being the best camera phone on the market for the year.